The last video of Christina Grimmie, former star of "The Voice" who was shot while signing autographs after a concert, has been leaked. Reports said the 22-year-old singer was gunned down Friday night at The Plaza Live in Orlando. Initial investigation revealed that the shooter, who carried two guns, shot Grimmie twice in the head. She was rushed to the hospital where she was pronounced dead due to injuries. Her publicist said in a statement to media, "It is with a heavy heart that we can confirm that Christina has passed and went home to be with the Lord. 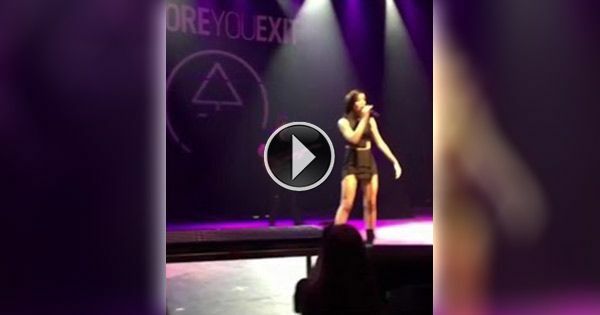 She was shot at her show in Orlando and, unfortunately, didn't survive the gun shot wounds." The shooter, who was tackled by the singer's brother, fatally shot and killed himself. Authorities did not identify the gunman and the motive is yet to be known. No one else was hurt during the shooting incident that killed Christina Grimmie.